Majestic outlook to the beautiful Lapland scenery. 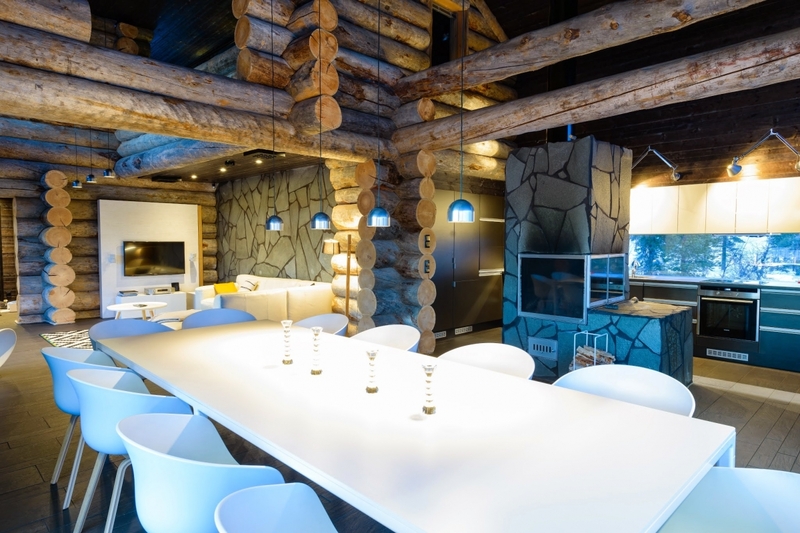 Levi ‘n’ Sky Luxury Villa is unique 300 sqm 5-star ski chalet in Levi’s prestigious Utsuvaara-neighborhood. 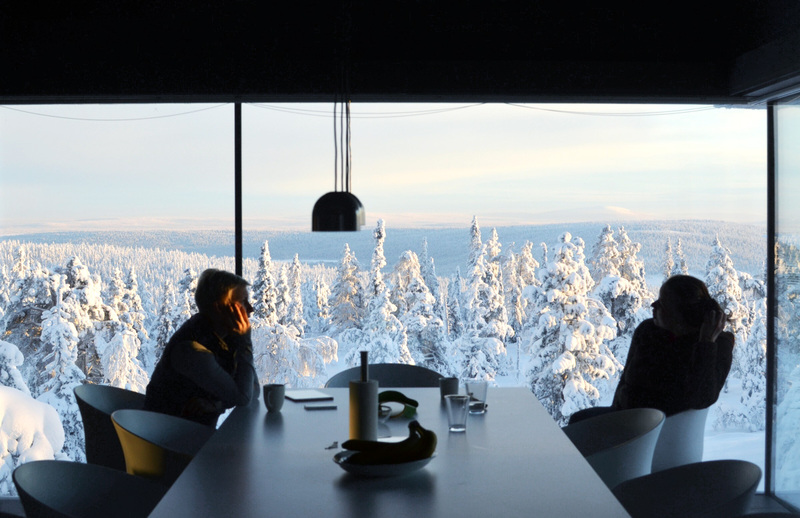 Located on top of a 360m foothill, our villa offers majestic outlook to the beautiful Lapland scenery. 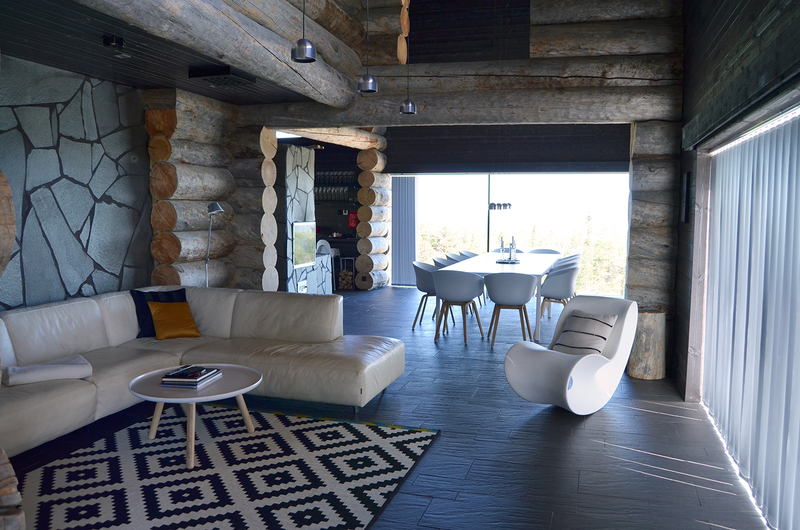 The villa is surrounded by natural rock formations, an everlasting reminder of the previous Ice Age. You can enjoy these views from the large wall-size windows and outdoor patio. Escape the cold in our premium jacuzzi, look up and see the dance of Northern Lights! And during the summer you can soak in the midnight sun, there will be no darkness at all. With its first class interior design and high-end equipment, Levi ‘n’ Sky Luxury Villa is your perfect choice for unforgettable vacation, special day or business event. Welcome to Levi ’n’ Sky Luxury Villa, we wish you a heavenly stay! Total 300m2 of space is divided into 3 floors, which provides options for having good time together and yet quiet areas for those who want to rest. In any event, you will enjoy our carefully selected designer furniture. 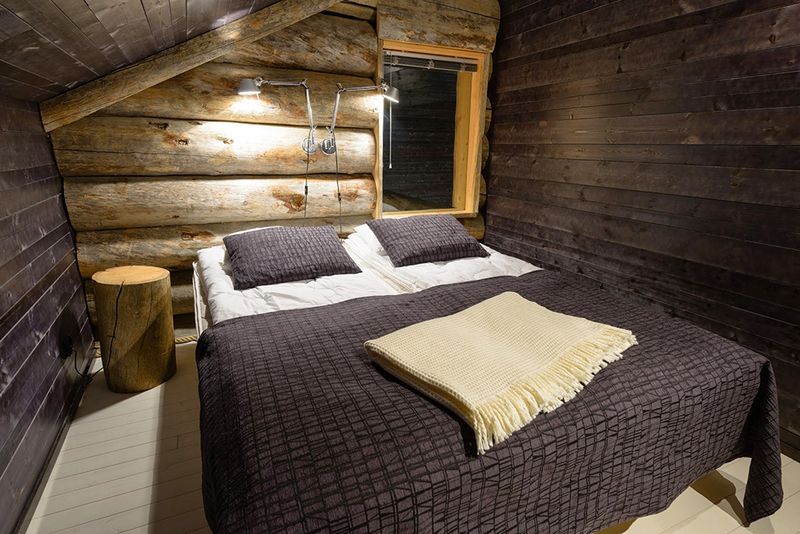 Our beautiful sauna is furnished with hundreds of years old “kelo” wood and has enough room for 12 people. The adjacent dressing area has its own restroom, fridge, and glassware. Bedrooms are located in the first and third floor. They all have high-quality Finlayson double beds, which can be split to two single beds. The villa has total of 4 bathrooms and there is a shower in every floor. Levi resort offers activities and inspiring experiences throughout the year. Autumn colours and Northern Lights, Christmas and New Year celebrations, winter sports, summer activities. Here you can enjoy golfing, mountain biking, hiking, jogging, fishing, skiing and snowboarding, reindeer and husky safaris, snowmobiling, spa and wellness, art and culture, restaurants and shopping. Or beautiful landscape, pure Lappish nature or Northern Lights. 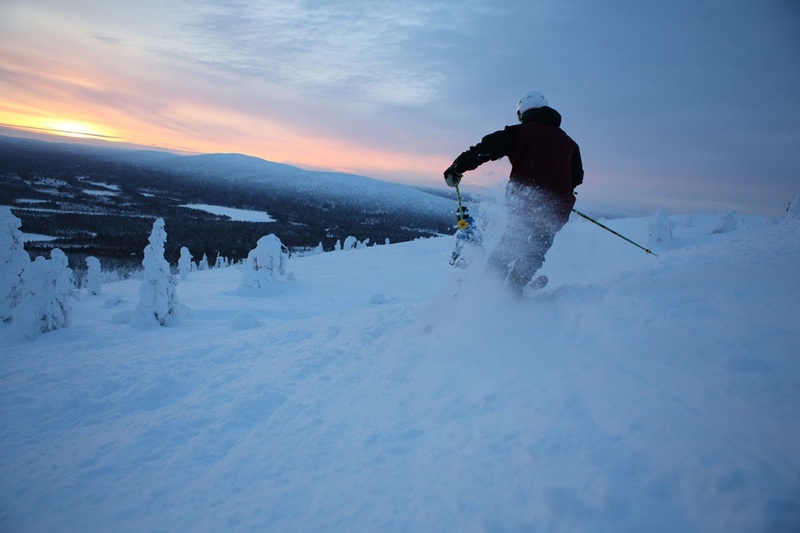 Levi is the leading holiday destination in Finnish Lapland. Welcome! During the night the sky is filled with stars, often accompanied with Aurora Borealis. They are all different. You can visit us any time of the year and we guarantee that you will be amazed. Our villa is only 15 minutes from Kittilä (KTT) airport. We can also arrange you a private jet and ground transportation if wished. Visiting the magical Lapland is easy. If you haven’t seen the Northern Lights or Midnight sun, the best place to view them is our new Aurora Hut, located in front of the building and facing North-Eastern sky. Levi is the biggest holiday resort in Finland and offers various activities all around the year. 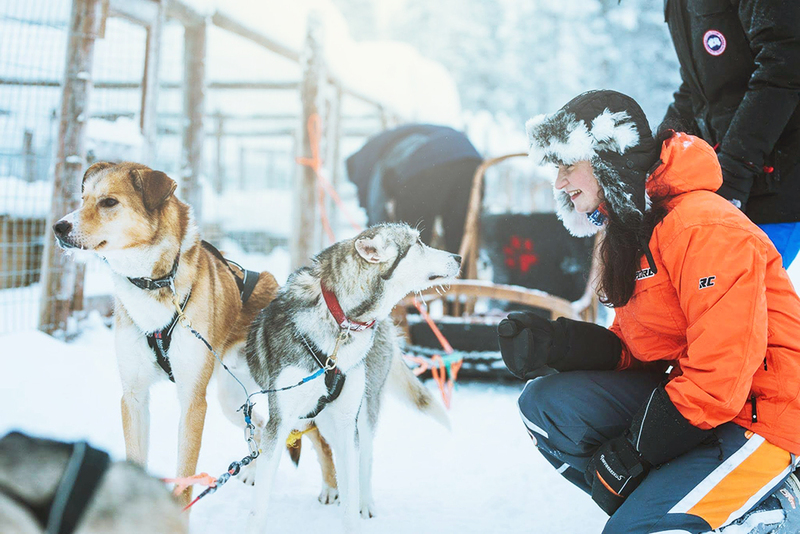 Our local partners can provide personal hosting services with tailored programs, professional guides and first-class Lapland cuisine.